Hot to Trot - An 8 Hour beatdown! 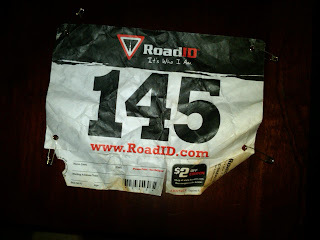 Last year, I took off like a crazy man on the first 10 laps.....like under 7 minute miles. While it is only a minimally technical trail, it's still a trail. I promised myself to not repeat that this year. 8 hours is a long time. Pace yourself, Jim. The day started out with some light drizzle......I had high hopes that the promised rain would keep the temps and therefore the body temps down. The gun goes off and BAM....crazy Sean takes off like a bear was chasing him! I did not get suckered in and kept it sane for me. 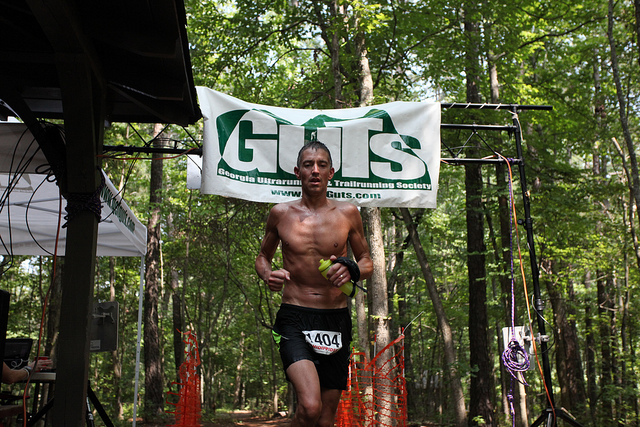 After about 3 hours, I ran through the aid station and someone asked if I got stung by bees. Being HIGHLY allergic to stings, I was immediately on edge. But I have to admit, I had a quick thought of "gee, if I get stung I can drop out of this heat!". I got back around to the hill and there was a strong smell of wasp spray and a couple people unloading a can of the stuff on a nest on the ground. I can only guess that was my fastest stretch of the course for a few loops! Multiple people got stung 3 and 4 times each. Glad it wasn't me! All and all, it was a decent race. I had Joe Fejes running hard and I thought he'd come around and catch me as I started to fade. While my pools certainly dropped off, I held on pretty well. Walking certainly became a more frequent occurrance as the day progressed, but mostly just for short stretches. Ended up with the OA win and a bit over 50 miles for the day. Less miles than last year, but I was pleased to have held up reasonably well. 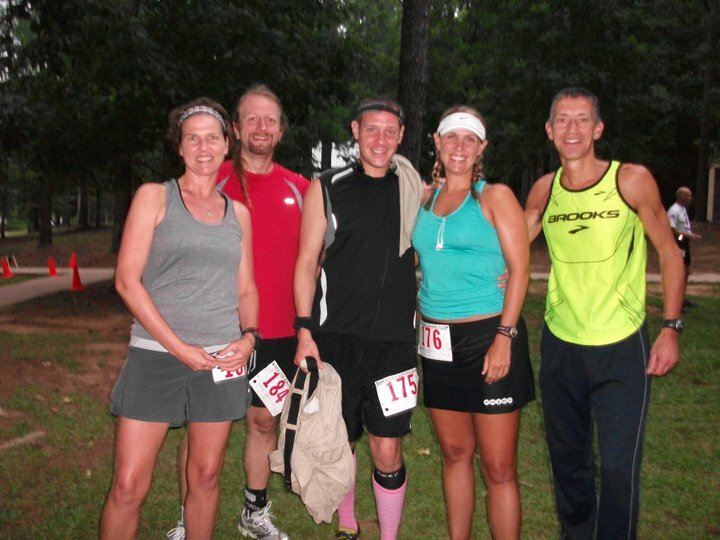 Great day to run with friends and very nice to have my lovely wife come support me in the second half of the run. 1. It was my “comeback” run. I’d been laid up injured for most on May and some of June and I needed to get back at it. Nothing like a long race to help with that! 2. It was near my hometown……my wonderfully supportive Mom and younger sis’ would get to come hang out. 4. There were a ton of GUTS runners already signed up. A long run with friends! 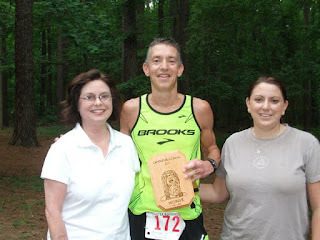 My plan was to head North to Spartanburg SC Friday afternoon to hang out with Mom and then get up extra early Saturday am for the 70 mile drive to the race. Things were shaping up nicely as Mom and I had a picnic out by the pool Friday night and I almost needed a sweater….it was down right cool! 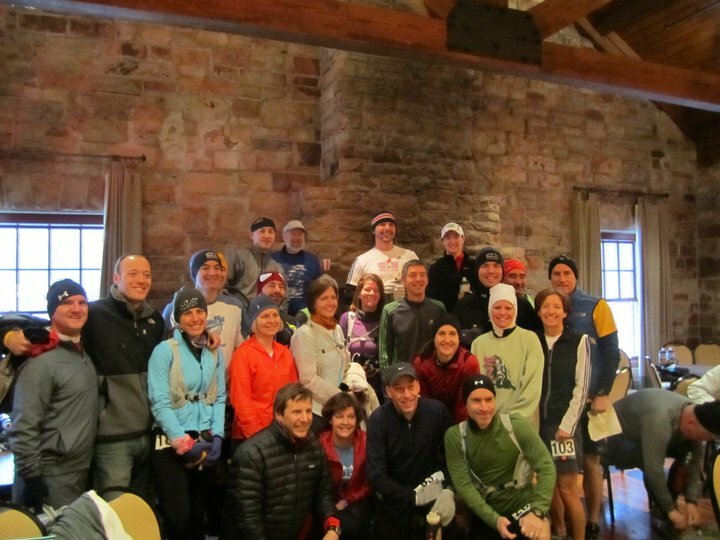 A nice break in the brutal temps promised a cooler race. The drive over Saturday morning was uneventful and boringly entertaining. For a guy living in Atlanta, I rarely get to drive 30 miles at a stretch with barely a stop light. Mom and I started to play the game of “guess how many stop lights or stop signs there will be in the next town”! Places like Chester, Landcaster, and several other dots on the map. I love the backwoods! This is a small but well run race…..after getting there and introducing myself to Claude, I got to work helping unload some gear and helping organize the aid station before the pre-race routine started. I was well fueled, well rested, and feeling good but severely undertrain after so much time off. No expectations, I just wanted to run the best I could and enjoy the day. 3. Third mile: Finish up the long straight road and take a hard left and start to a big downhill then a hard left onto the trail. 4. Fourth mile: A long and winding fairly flat and perfectly beautiful run along the Landsford Canal. Perfect and other than the turns could be run pretty hard. I started out pretty hard and planned to run as long as I could at a reasonably stout pace and then hang on towards the end. Joe Fejes had discussed running a 7:15 pace together for the first 26 then all bets off. But anyone that knows me knows I like to run like I feel. Usually fast at the start and then hang on for dear life at the end. Probably a good choice that before the race it was decided we wouldn’t try to run together. I felt good out the gate and trying to stay consistent at 7:15 would have been tough for me. The loops came and went. I was basically hitting a bit under 30 minutes a loop. Little slower up the hill, flat out on the flats and downhill, somewhere in between on the trail. Never got really tired and even after loop 6 I still felt like I could drop a pretty good time on loop 7. Finished up in 3:36 and 1st OA. I didn’t really expect to run that fast, but I think a couple months of little running had me fresh and hungry. Great hanging out with Andy Bruner, Jason Sullivan, Schick, Aaron D, Joel T, Beth, Greg, Candy, and a bunch of new friends from the upstate. Fun race. 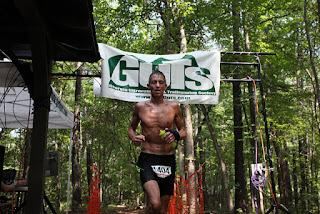 Somewhere between a fast trail race and a road ultra. I've had 4 stress fractures (or possible stress fractures) from running. What have I learned? It's been 4 weeks since I've been back running. The first two were not great and I considered having to take another extended break. But a quick trip to the doc reassured me that I was getting there and just needed to be a bit more patient. The last couple weeks I've felt 99%. Some really solid workouts and I'm back to my somewhat normal running level. Next up..........I am dying to get back on the trails, so I signed up for Landsford Canal 50K on July 16th! Here is to coming back to the race circuit! I had huge plans for the first quarter of the year. 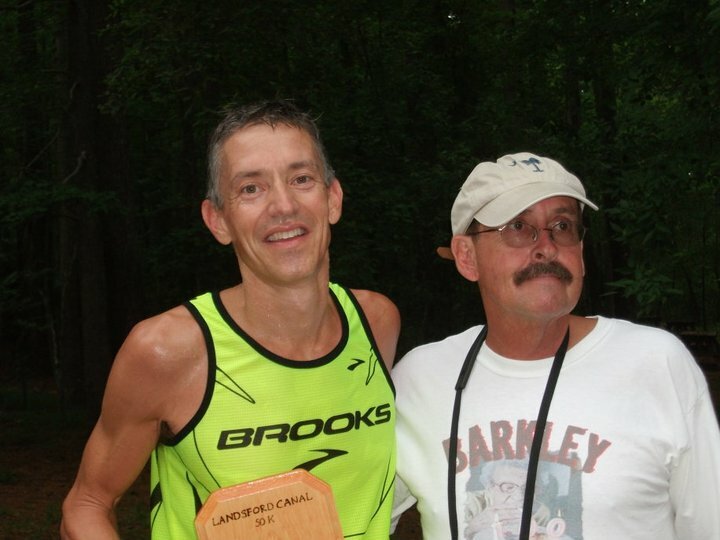 The Georgia Marathon was the last straw. 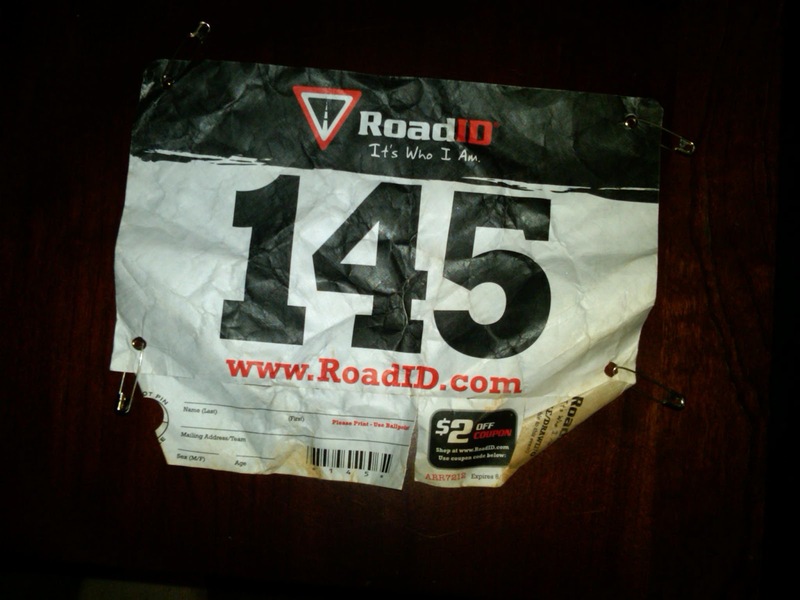 I was sore for a week after running my first road marathon in 2 years. In racing flat. Bad choice? Probably. My lower left leg hurt even after the soreness faded. But I somewhat ignored it as "normal" pain. But it wasn't normal. It got to the point that it hurt every step. I decided I couldn't miss the SweetH20 race, so I hit the trails for a tough 50K. The softer surface made it somewhat less painful, but I knew I had an issue that wasn't just going to magically disappear. So I quit running. I quit for a week, tried again, and learned that a week wasn't going to heal me. I've had 3 previous stress fractures and I am confident I had another. It's been over 4 weeks since SH20. I'm giving it another week or so. I'll be healed, healthy, and hungry. I'm usually so bummed when I can't run. But I took a different approach this time. Embrace the down time as an opportunity to try new things. So, I've been riding and spinning and the elliptical. And weights. And I feel great. I'm stronger. I bet I've lost only a touch of fitness but hopefully will be healed of all those little things that tend to bother me. Happy to not be able to run? Nope. Excited about learning and coming back stronger? You bet. 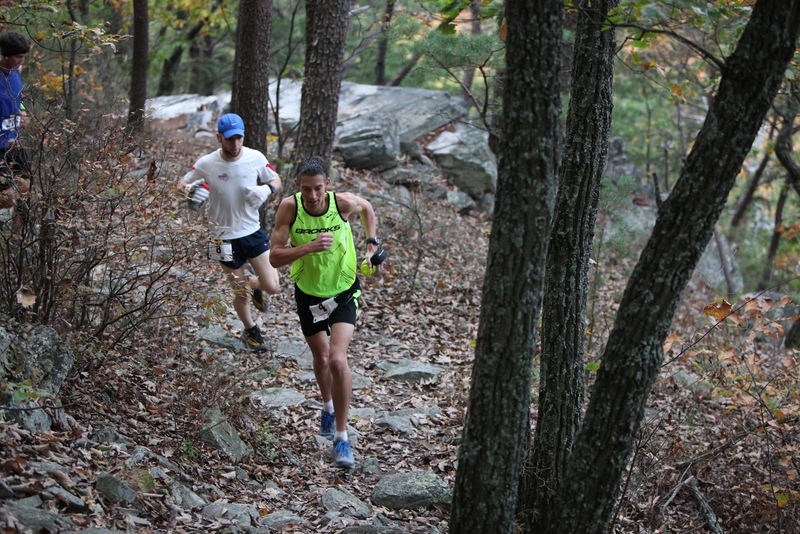 ....kinda figured I knew this distance, but this is a big league race with some seriously strong runners and some seriously difficult terrain.